Working in your garage, people always are running back and fourth to the tool box or a closet to get those little tools or parts that they need. They wouldn't have to do all that running if they had a utility cart with everything already sitting there. 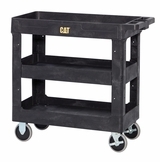 Utility Carts come in a wide variety of shapes and sizes, but all of them have the same purpose, to move items from one space to another with ease. 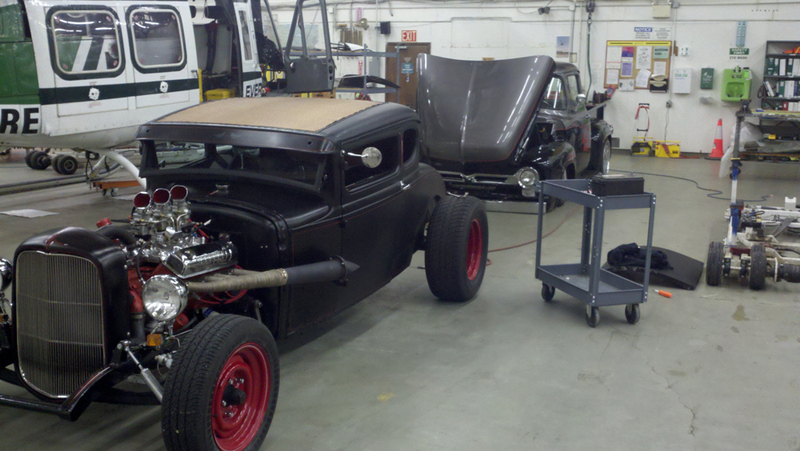 In garages, it's usually tools or car parts that you are taking from a tool box or cabinet and bringing them closer to the item you are working on. In a clean garage storage environment, usually it is easy to find the items you are looking for, put them on the cart and then roll them to where you need it. 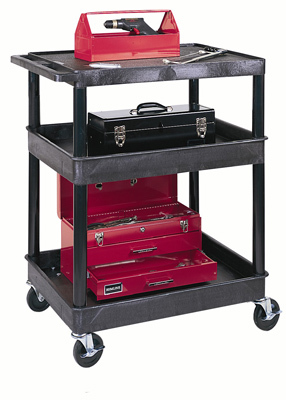 These carts are not just for garage use, they are very versatile, they can be used in schools or in industrial settings. The casters used are of high quality, so you don't have to worry about to much weight on them. 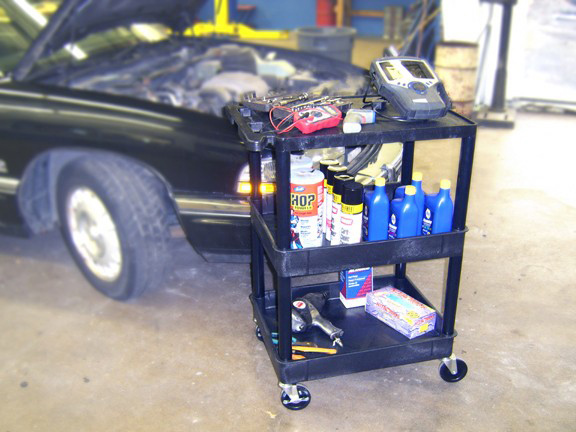 The bodies of the carts are very sturdy, the steel ones can take heavier objects then the plastic, but both styles are very capable units and can take care of anything required of it in a garage.